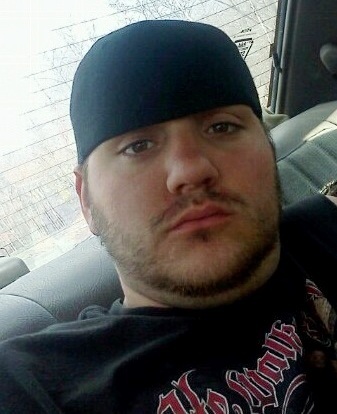 James Harig, of Cumbola, who would have turned 30 on February 19, 2016, has been missing since early 2012. He was last seen on February 5, 2012 on Sharp Mountain near the Hillside SPCA in Pottsville, where his friends stated they dropped him off. 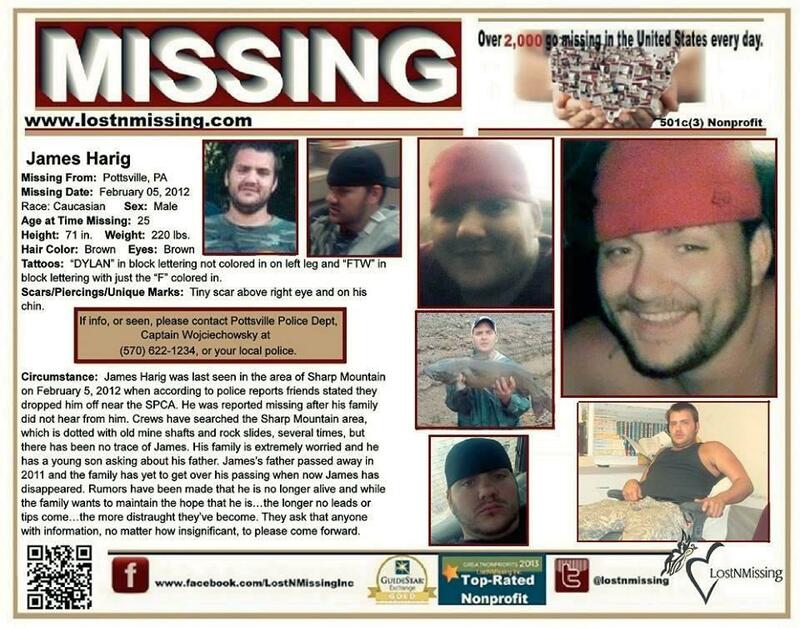 Harig was reported missing on February 19, 2012. Family on Facebook stated he was originally from the Port Carbon area. Tattoos: block lettering of the name “Dylan” on inside of left leg; FTW with the F colored in solid black on outside of right leg. Clothing: Red ball cap, bright blue Areo hoodie, jeans and boots. 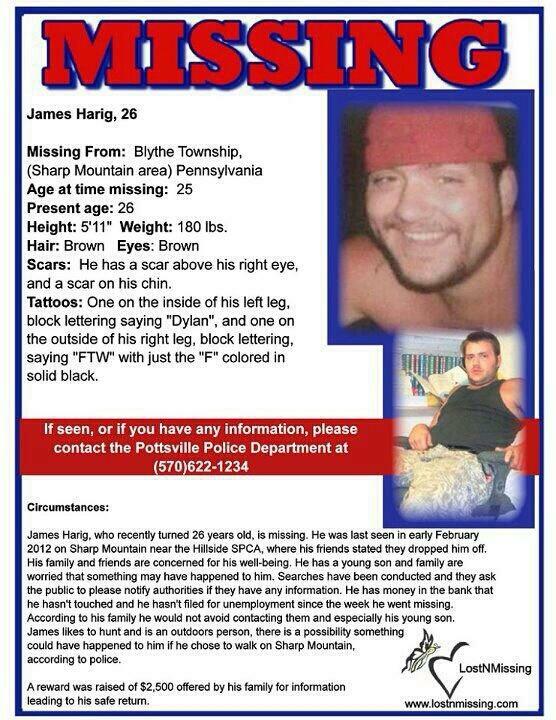 If you have any information, contact Pottsville Police Department at 570-622-1234.